Place first 5 ingredients in a large pot. 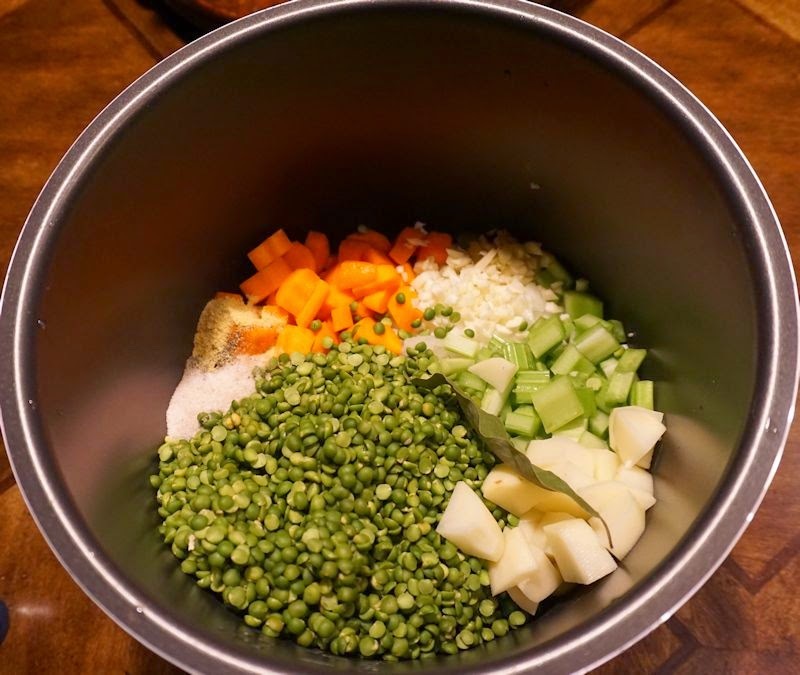 Bring to a boil, reduce heat to low, and simmer, partially covered for about 20 minutes, stirring occasionally to prevent split peas from sticking to bottom of pot. Add steamfried veggies to the soup pot. Partially cover and simmer for another 40 minutes, stirring occasionally. When cool, blend into a creamy consistency in a high-speed blender in batches. Soup thickens after being refrigerated. Just add a little water ro veggie broth to the soup before warming. Add all of the rest of the ingredients and set the pressure manually to 8 minutes with NATURAL RELEASE. 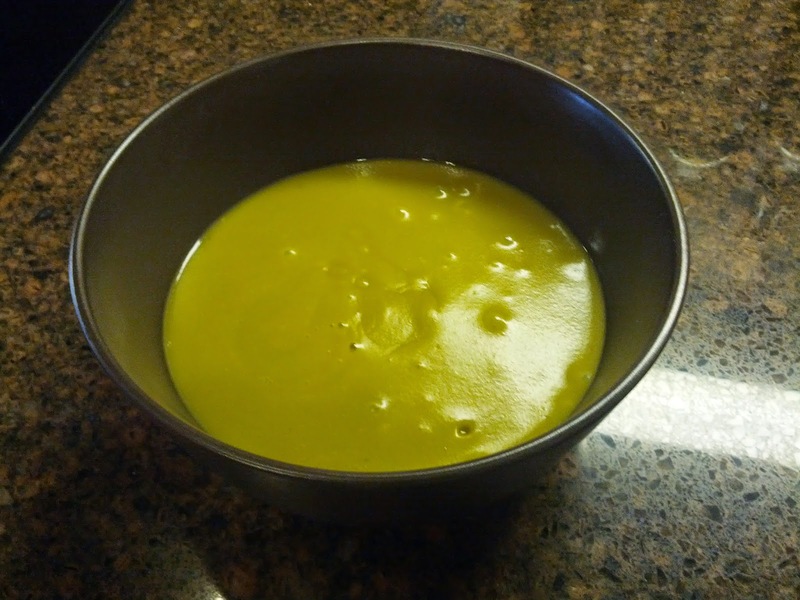 Blend ALL of the soup (in batches) in a high-speed blender (BlendTec or Vitamix) until very smooth. Serve!